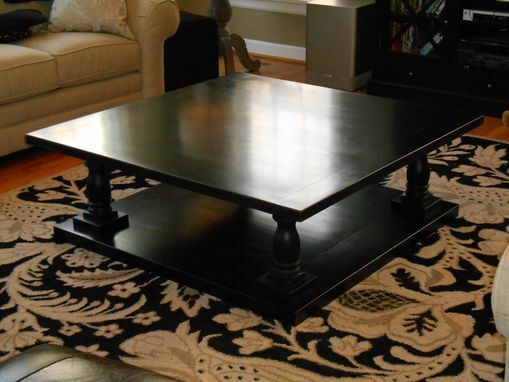 Large 17'th century monastery style coffee table made from maple and stained black. The staining was carefully tailored to show a grain reveal on a black background. The top and bottom used breadboard end construction and were made from solid section lumber typical of 17'th century practices. This table is flanked by couches on three sides and forms the centerpiece of a large entertainment area.